Providing accurate, real-time central venous catheter tip placement. 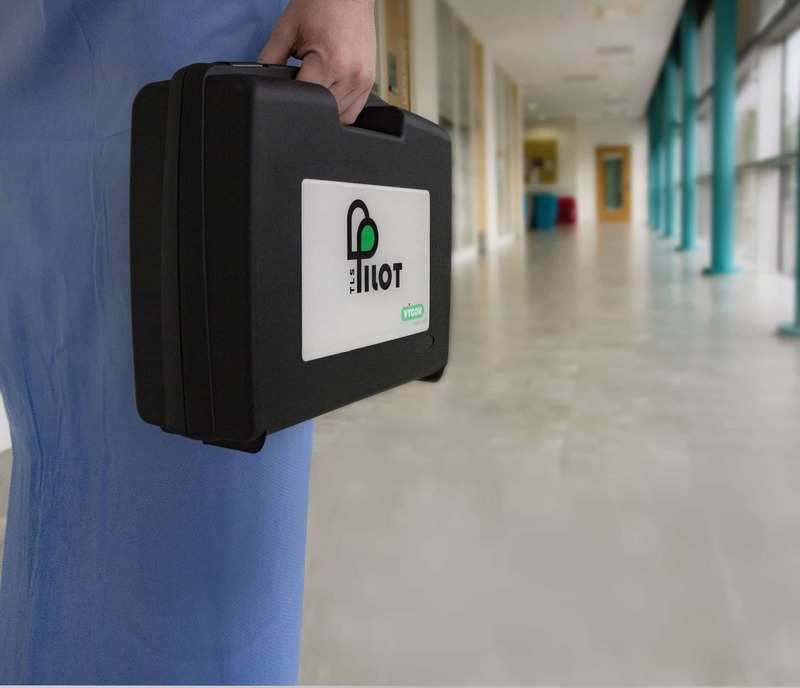 pilot TLS ECG technology provides immediate feedback on CVC tip placement, enhancing both patient and clinician satisfaction by minimising exposure to X-ray radiation and enables consistent and optimal CVC placement in both the acute and non-acute settings. pilot TLS technology focuses on the P wave for establishing accurate CVC and PICC tip location. Incorporating several real-time features designed to improve P wave interpretation, the effectiveness of pilot is further enhanced by a clear and accurate ECG waveform at all stages of the insertion procedure. Focusing on this waveform provides clinicians with the confidence to accurately interpret changes in the P wave and therefore ensure accurate placement. A number of studies have consistently demonstrated that interpretation of the P wave is the most accurate and reliable way of determining both CVC tip location and accurate navigation of the line during the insertion procedure.